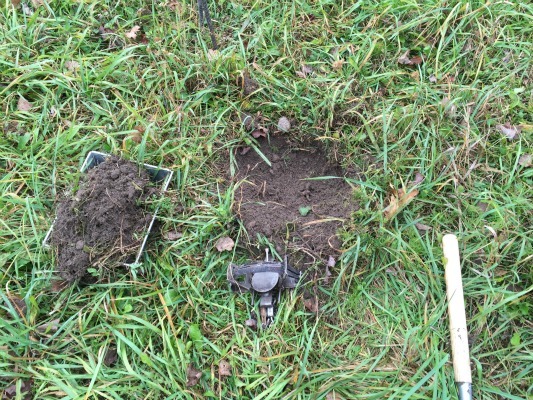 A dirt hole set is a set commonly used to target coyote and fox in an open field setting. The set appeals to a canines natural instinct to look in a hole to find food buried by another animal. The concept of this set is pretty simple. Just like the name sounds, it's basically a hole dug into the dirt with a trap placed in front of it. A small amount of scent or lure is then added to the hole to attract any fox or coyotes in the area. As the animal investigates the scent in the hole, it will step on the trap and capture the furbearer. Before you begin to make the set, the most important step is to choose a good location. Look for tracks, droppings or other sign that fox or coyotes have been frequenting the area. Coyotes are usually creatures of habit so look for an area that has both fresh and old tracks indicating that coyotes use the area on a regular basis. Areas where fence lines or two tracks intersect, open fields or along high ridge lines are all great places to look for sign. Remember, coyotes typically don't like to travel right at the edge of a wood line or two track because it spooks them. They prefer to leave some space around them so they can see. Make your dirt hole set in the middle of the two track or about 10-20 yards into the field to increase your odds of making the set where the coyotes are traveling. 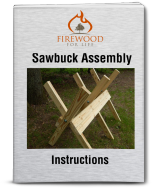 To make a dirt hole set you'll need a coil spring leg hold trap, a trowel, stakes to anchor the trap, a hammer or axe/hatchet to set the anchor, pan covers, a sifter and a bait or lure of your choice. 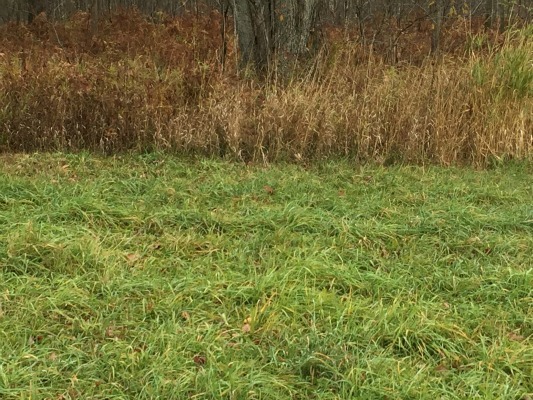 As you can see from this picture I chose a location in an open grassy field about 15 yards out from the wood line. To begin take your trowel and dig a small hole that's slightly bigger than the trap you're using. For this set I'm using a MB 550 foothold trap. When you dig the hole, make it slightly bowl shaped so the middle of the hole is deeper than the outer edges. 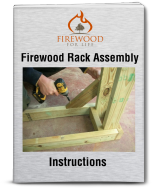 This will give room under the trap for the stakes, springs and swivels on your trap. Also, loosen up about an inch of dirt in the bottom of the hole to allow the trap to be firmly set into place. Take the dirt from your freshly dug hole and place it in the sifter for later use. The next step is to securely anchor your trap. It's best to avoid using wire to attach the trap to the stakes because the animal can work the wire back an forth until it eventually brakes. Stake the trap slightly off to the side, but in the deep part of the hole. This view shows the the trap cross staked in the hole. 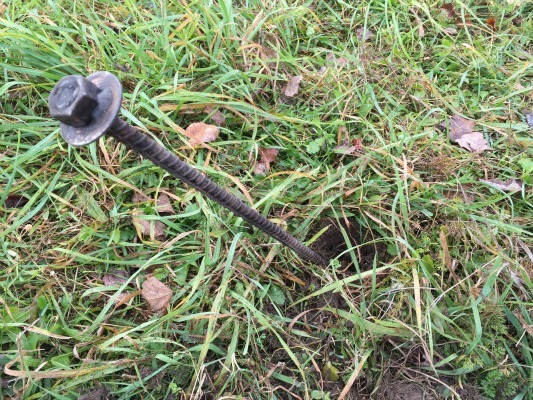 Cross stakes are very solid ensuring the coyote won't be able to pull the trap free from the ground. Once the trap is anchored, set your trap and place it in the hole with the dog on the trap facing 12 o'clock. The key is to make sure the trap rests firmly in the hole and will not rock back and forth when the coyote steps on the trap. 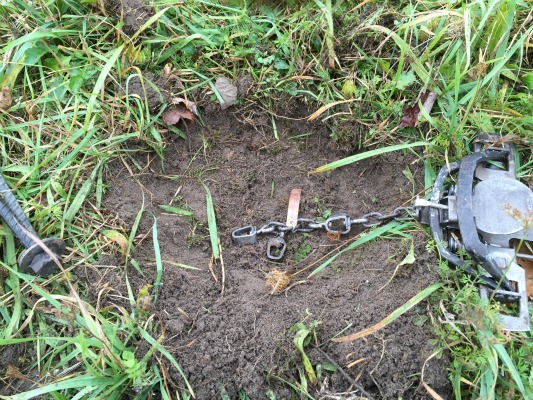 To make it secure, use a side to side twisting motion as you push it into the loose dirt in the bottom of the hole, then turn the trap so the trap's dog is at the 1 o'clock position. Check to make sure the trap is solid. If it moves a little, take some dirt from your sifter and pack it under the springs or trap jaws with your trowel until it's solid. Before you start covering up the trap, use a pan cover over the trap or place some batting under the pan to prevent the dirt from going under the pan and making it inoperable. 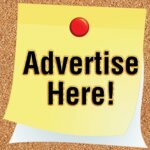 You can purchase pre-made pan covers or you can make your own out of wax paper. If you're using wax paper, crumble the paper first then flatten it out before use. This will prevent the wax paper from making a crinkling noise when the animal steps on it. Using dirt from your sifter, take your trowel and start packing dirt around the trap. As you go, use your trowel to keep the dirt cleared off the pan. Never use your fingers to move dirt inside the jaws of the trap. Once you have the trap packed, sift a thin layer of dirt over the entire set covering the pan. Don't add a lot of dirt, just enough to hide the pan. The next step when making a dirt hole set is to make the bait hole. 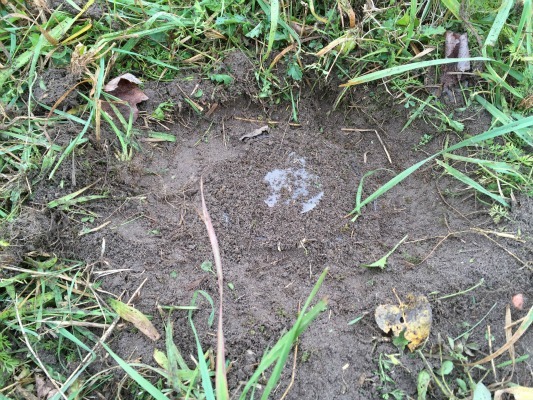 The hole should be 10 inches above your trap pan and off set about 2-4 inches to either side for coyote. If you're targeting fox you'll want to make your bait hole 6-8 inches above the trap pan and offset about 2 inches. 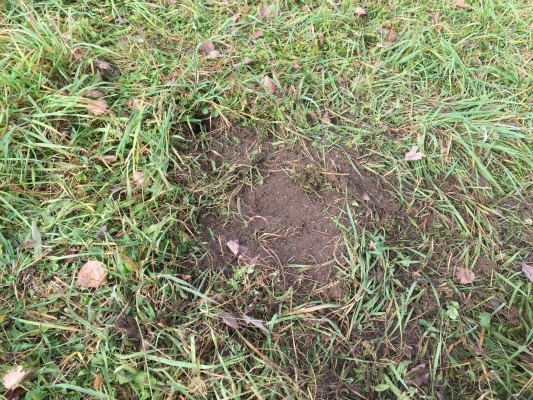 The hole should be about 4-5 inches deep and at an angle that faces towards the trap so the coyote or fox must walk into your set to investigate it. You can either dig the bait hole with a trowel or you can simply use a trap stake in in circular motion to dig a nice hole. Now place a bait, lure or both in the hole. 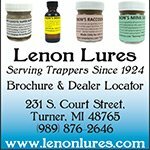 Many trappers have a separate bag or box for their baits only. They also have a different pair of gloves that are used only for baiting. This helps to keep the set free from contaminating odors. Dead mice are a great natural bait, but there's many different baits to choose from. Use a lure placed in the hole to help bring the fox or coyote into your set. Placing the lure on a stick or piece of wool will help the scent last much longer than just applying it on the dirt. Lure choices are usually fox urine or skunky lures. Finally, add some backing to the set. Backing can be grass, sticks, a rock or anything that prevents the fox or coyote from approaching the set from the back. The backing forces the animal to enter the set from the front where your trap is. Also, coyotes don't like to step on debris or rough surfaces. 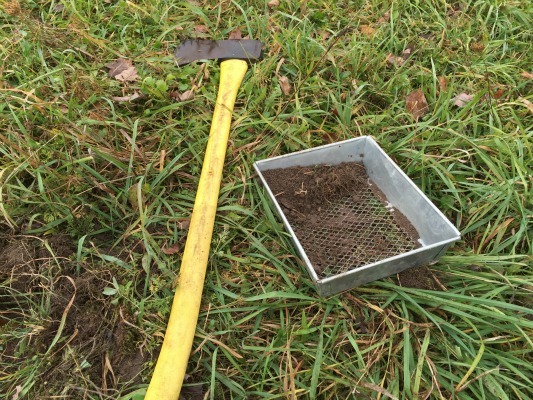 Use grass or sticks to help guide their foot onto the clean dirt covering your trap pan. The picture below describes this technique. 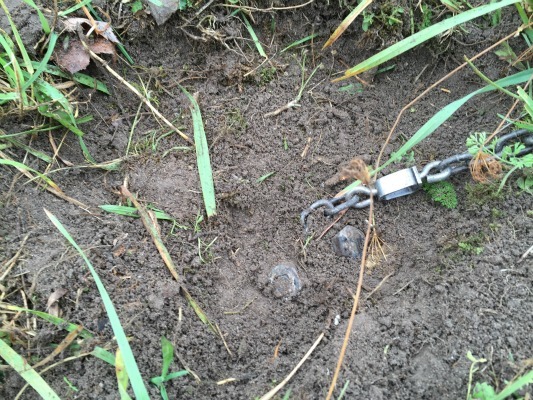 The dirt hole set is one of the most widely used sets to trap fox, coyotes and even bobcat. 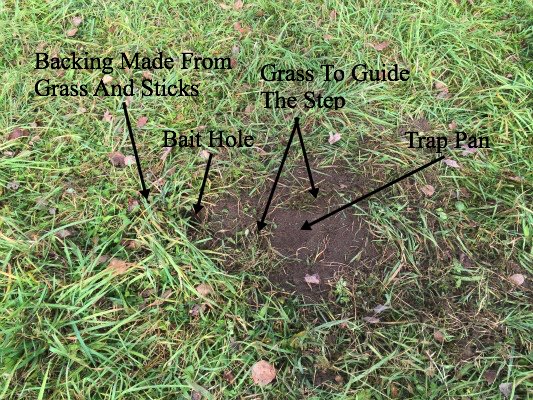 Although their are lot of variations, the basic dirt hole set is a great addition to any trappers "bag of tricks."